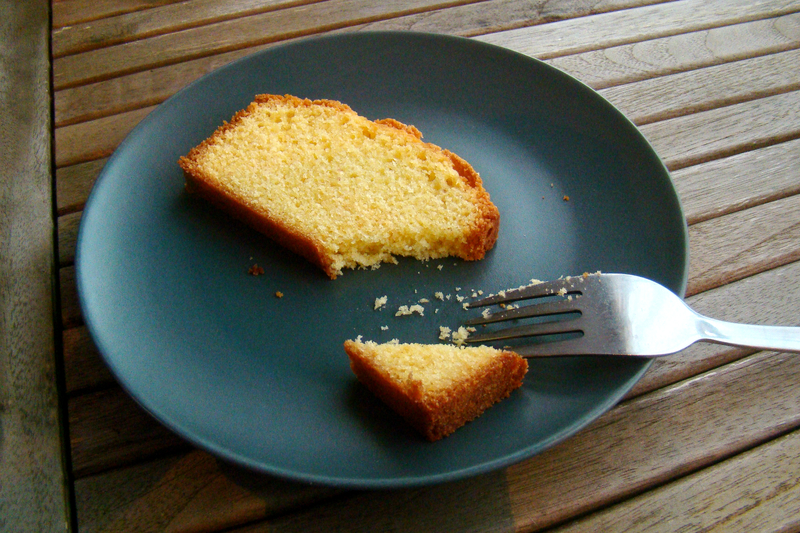 I just can’t believe I’ve never shared this simple Vanilla Cake with you! I’ve tried all sorts of cake, Apple Cake, Blueberry Cake, Halloween Cakes, … But never have I shared a cake as simple and ‘ordinary’ as a Vanilla Cake! 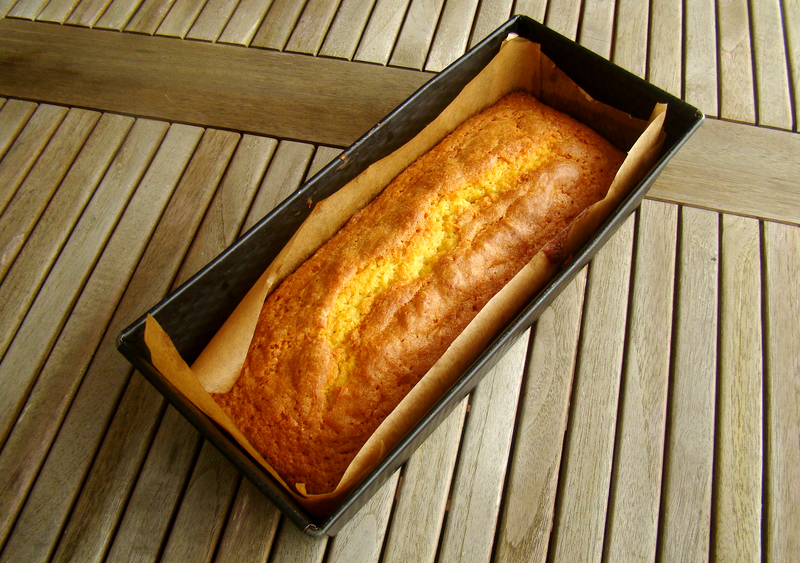 May I present to you: my easy peasy simple Vanilla Cake! Mix the butter, the vanilla sugar and the sugar until the sugar is fully absorbed. Check with a toothpeck or a sharp knife when it’s done. If it comes out clean, that cake is ready to be eaten! Maybe it’s just because we were eating the middle of the cake the next day and this part of the cake is a bit taller, so it might have more lightness? Anyway, I hope you guys enjoy the cake! Thanks for linking up with SNF! Pinned to our party board! I love a simple vanilla cake. This loaf looks scrumptios! 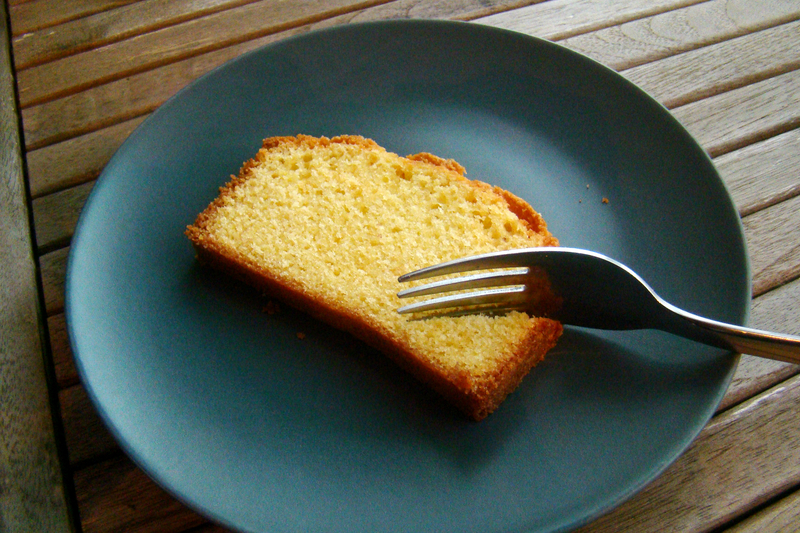 Sometimes there is just nothing better than a yummy slice of simple vanilla cake. Mmmm, love it in the loaf pan, too! This cake looks delicious and I like the recipe’s simplicity. Nice tip on using baking paper to line the cake pan. It totally eliminates the fear factor out of unmolding a cake. Hi Robyn! Thanks for stopping by 😀 It actually really is foolproof 🙂 Glad you like it! Perfect anytime cake Sarah! It looks so delicious!! 🙂 Happy FF! Thank you so much! Happy FF too! Beautiful cake Sarah, I love a simple vanilla cake. 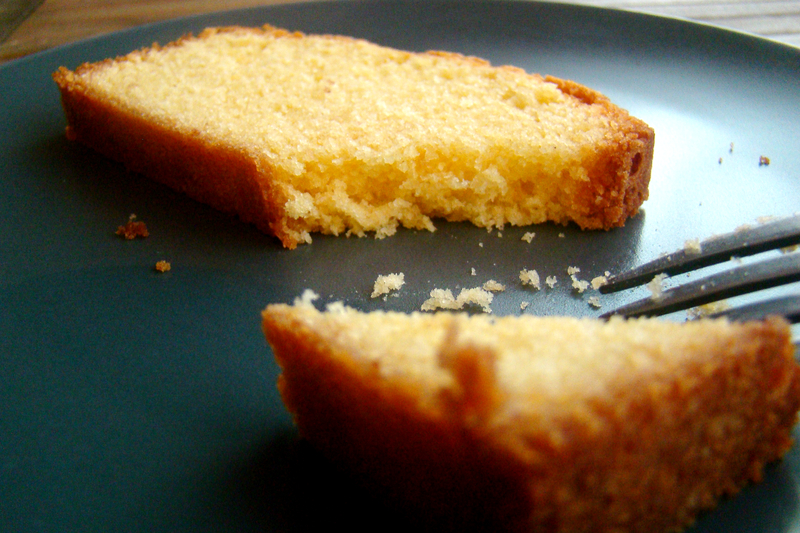 Sometimes there is nothing better than a delicious buttery vanilla cake exaclty like the one you have made! 🙂 Although I have to confess I might eat it with a spoonful of nutella… 🙂 This looks amazing Sarah!! Thank you so much! Ooooh thanks for the tip 🙂 that sounds very tasty too! Thank you so much! 😀 Happy FF! Thank you so much! You haven’t? 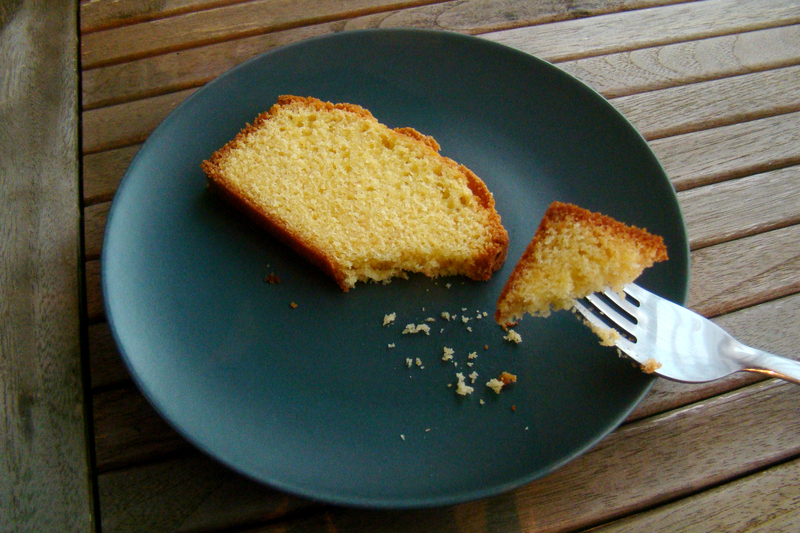 Sarah, I love how simple this vanilla cake is. And it looks so moist and delicious. Thanks for sharing at FF! I love chocolate as much as the next person, but vanilla cake doesn’t get enough credit, a good vanilla cake can be the best thing ever! Yours looks really good, and the fact that it’s easy makes me love it even more! MMMM.. I loveeee cake, and REALLY love things that are easy-peasy!! This looks delicious, I think it’s funny how some things are better the 2nd day- soup is like that too! 🙂 Well I’d have to try this on day 1 anyway because it really looks great! Thanks for bringing this to the party! Thank you so much for your sweet comment 🙂 soup indeed is better the 2nd day! Happy Friday! Oh my it looks so delicious! This looks delicious Sarah. It would be good with a compote too. Happy FF! Thank you! Thanks for the tip too 🙂 Happy FF! I don’t think I had vanilla cake before. When my cake looks like yours it’s always lemon cake. 🙂 Looks scrumptious! Oooh Lemon Cake 🙂 should try that too sometimes 🙂 thank you, Martina!